Lock in a great price for Hotel & Spa Cordial Roca Negra – rated 8.5 by recent guests! The hotel facilities were great, the reception staff were particularly helpful and knowledgable about the local area. 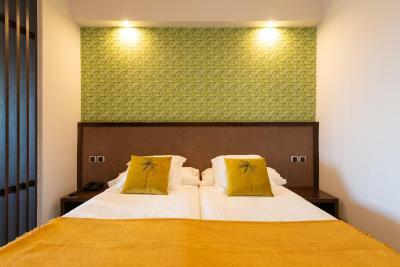 The hotel was quiet with a laid back atmosphere, whilst still being very clean and organised. The room was large with a view over the pool and the sea. The balcony has a clothes drying rack for swimwear. Breakfast was a buffet with breads, pastries, cooked breakfast, fruit and cold meats so there was plenty choice. The pool was a lovely temperature and the nearby sea pools were fun. It’s a fairly short walk along the lit beach and cliff path to Puerto de las Nieves. The restaurants there had good seafood, coffee and beer but there is a limited number. The Spar shop is very well stocked. Good swimming pool, nice looking hotel with large room. Natural swimming pools are close by. Cheap restaurant next to the swimming pool with reasonable quality. Many types of drinks. Parking is nicely organized, no need to worry about that. Food was great, staff was very helpful and nice, room was big and clean. Facility was in good condition and the hotel is located in very quiet neighbourhood. Very good value for the money!!! 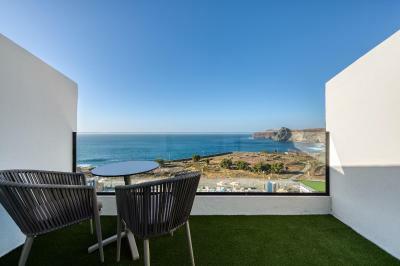 Access to the surrounding area, location overlooking the ocean. Walking distance to the town. Very good hotel for some days of rest during our two weeks hiking holiday. Nice walking promenade along the sea shore from the hotel to the little harbor. Good base to walk in the Valle from San Pedro to Tamadaba and back. Nice swimming pool. 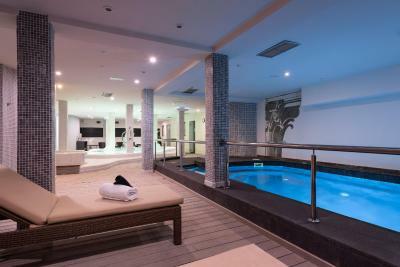 If you are a swimmer, ask a room on the first floor with direct access from its terrasse to the large heated pool. 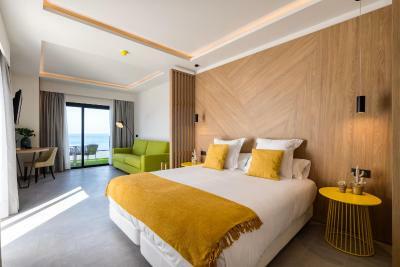 Hotel & Spa Cordial Roca Negra This rating is a reflection of how the property compares to the industry standard when it comes to price, facilities and services available. It's based on a self-evaluation by the property. Use this rating to help choose your stay! 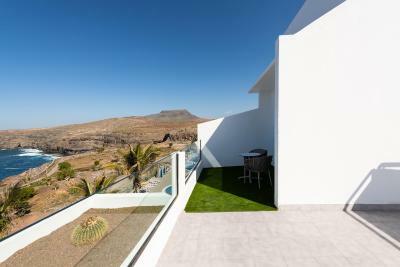 One of our top picks in Agaete.Hotel & Spa Cordial Roca Negra in Agaete has sea views and offers a swimming pool and a well-equipped spa. The rooms have air conditioning. All of its stylish rooms have a seating area and a safe. 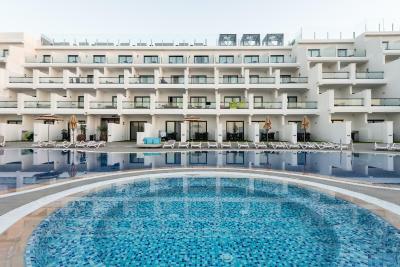 Most of them have balconies and some have a terrace and direct access to the swimming pool. Hotel & Spa Cordial Roca Negra has pools for adults and children, as well as a whirpool bath. The spa includes Vichy showers, mud and water therapy, biothermal showers and a Turkish bath. Massage treatments are also on offer. There is a gym on site. The area surrounding the hotel is ideal for hiking, mountain biking, diving and other water sports. There are natural pools 1,000 feet away from the property. WiFi is free with your own device. 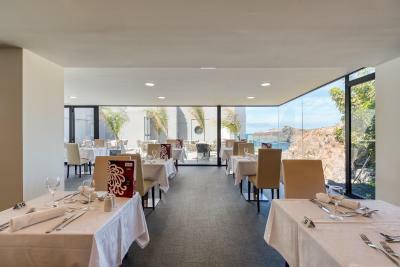 Hotel & Spa Cordial Roca Negra has a restaurant offering a range of Spanish dishes for breakfast and lunch. 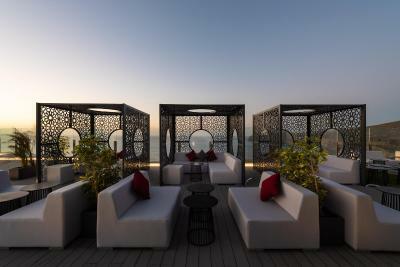 There is also a rooftop bar that offers drinks. When would you like to stay at Hotel & Spa Cordial Roca Negra? 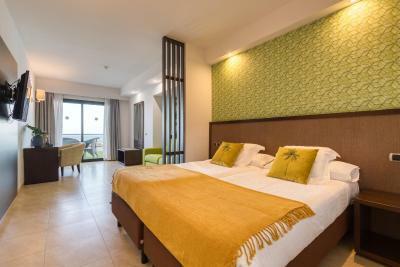 Air-conditioned room with a balcony or a terrace, satellite TV and mini-bar. There is a safe, work desk and seating area. The bathroom includes shower, free toiletries, hair dryer and magnifying mirror. Free WiFi is available. This suite features a large living room, a separate bedroom, coffee making facilities and a balcony or a terrace. Bathroom includes shower, free toiletries, hair dryer, magnifying mirror, bathrobe and slippers. Free WiFi is available. 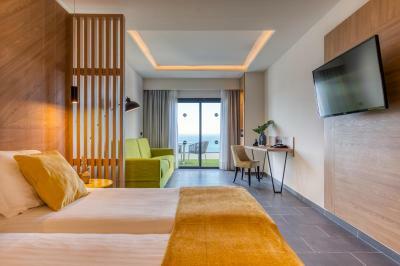 This air-conditioned room features a balcony with sea view, satellite TV and mini-bar. There is a safe, work desk and seating area. The bathroom includes shower, free toiletries and hair dryer. Free WiFi is available. Air-conditioned room with a balcony or a terrace, satellite TV and mini-bar. There is a safe, work desk and seating area. 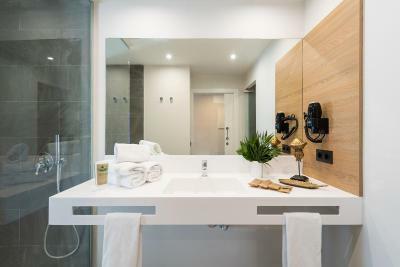 The bathroom includes shower, free toiletries, hair dryer, magnifying mirror, bathrobe and slippers. Free WiFi is available. This air-conditioned room features a balcony or a terrace, satellite TV and mini-bar. There is a safe, a desk and seating area. The bathroom includes shower, free toiletries, hair dryer and magnifying mirror. Free WiFi is available. This suite features a living room, a bedroom, coffee making facilities and a balcony or a terrace. The bathroom includes shower, free toiletries, hair dryer, magnifying mirror, bathrobe and slippers. Free WiFi is available. 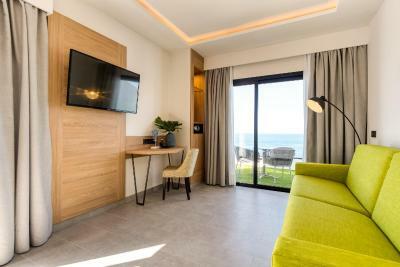 Air-conditioned room with a balcony or a terrace, satellite TV and mini-bar. There is a safe, a desk and seating area. The bathroom includes shower, free toiletries, hair dryer and magnifying mirror. Free WiFi is available. 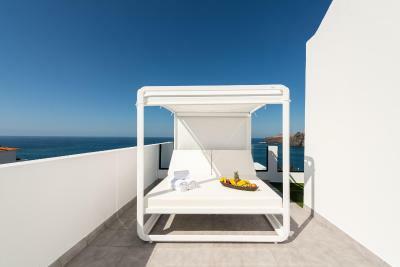 This air-conditioned room features a balcony or a terrace, satellite TV and mini-bar. There is a safe, a desk and seating area. The bathroom includes shower, free toiletries and hair dryer. Free WiFi is available. 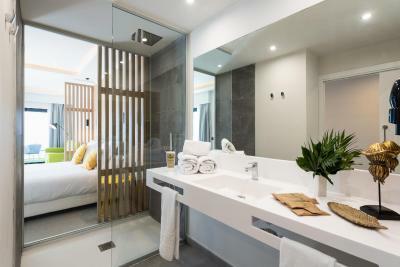 This suite features a room with extra large double bed and a balcony with private Balinese bed. The bathroom includes shower, free toiletries, hair dryer, magnifying mirror, bathrobe and slippers. Free WiFi is available. 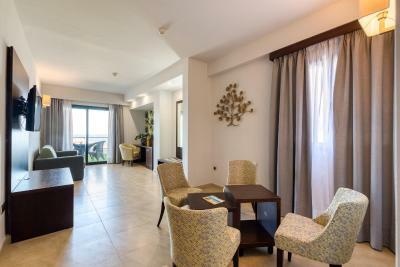 This suite features a living room, two bedrooms and a balcony or a terrace. 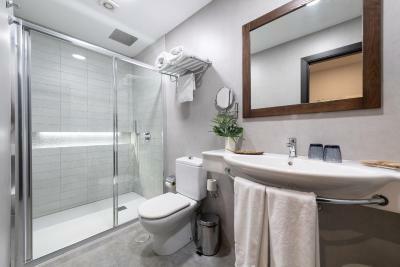 The 2 bathrooms include shower, free toiletries, hair dryer and magnifying mirror. Free WiFi is available. 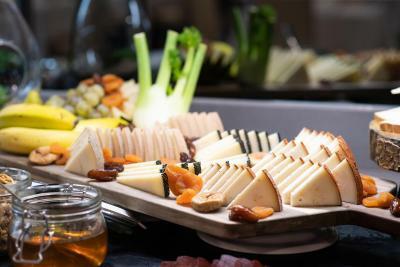 House Rules Hotel & Spa Cordial Roca Negra takes special requests – add in the next step! Hotel &amp; Spa Cordial Roca Negra accepts these cards and reserves the right to temporarily hold an amount prior to arrival. Hotel & Spa Cordial Roca Negra accepts these cards and reserves the right to temporarily hold an amount prior to arrival. Please note that the gym is open from 10:00 to 20:00. A safe is available for free in each room. A security deposit is required for the key. Pool towels are available free of charge. Please request them at reception, a security deposit will be required. All spa and beauty treatments are available for a surcharge. 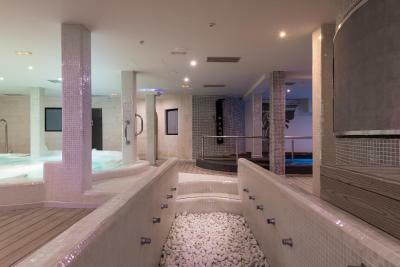 Please note that guests must be aged 16 or older to enter the spa facilities. Mrs Gema is super friendly and always smiling. We are not so keen on buffet self service evening meal . Dinner could have been better. Very strong wind in coridors, so cold. Poor coffee in the pool bar and for the breakfast. Small choise of fod for dinner as well as for the breakfast. Too high price for such level. 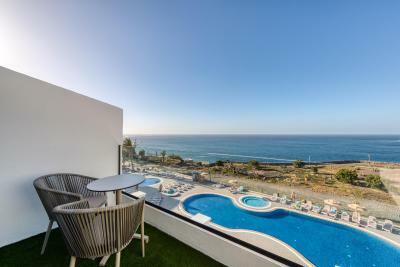 We stayed in south patt of Gran Canaria were for the same price we had sea view suite and much higher level of service and food. Nothing negative. We were lucky to find a parking place in front of the hotel end of February, but we assume it may be more difficult in high holiday season. I was surprised to find out the entrance to spa is not free for hotel guests. Great breakfast, clean room, good hotel location. Nice and interesting hotel surrounding suitable for short hiking. Beautiful location, very good breakfast and dinner. Very good service from the reception. The room was really, really Nice With a beautiful view, quiet, clean and comfortable beds. We just love it everything. My visit was out of season. Many restaurants were closed .. not the hotels fault.. The hotel staff was very friendly and helpful.